So you want to make the most amazing flower arrangement possible, to welcome friends to your home. But where to start? Late summer is a great time to cut flowers and foliage from your garden and if needs be, can be supplemented with blooms purchased from the high street. Money “saved” by cutting from your garden can then be spent on exquisite, statement flowers from your florist, or used to bulk out your arrangements with masses of standard specimens such as carnations, chrysanthemums or roses. Choose flowers to match your budget and occasion. The key to getting your flowers to last as long as possible is to treat them well from the outset. For garden flowers and foliage I pick in the cool of the day, keeping a bucket of water by my side as I wander around the garden. If you’re buying from the high street your flowers will have been wrapped by your florist, or be in a plastic sleeve from the supermarket and may be out of water for some time before you get them home. If kept in the car, or your shopping bag for too long they’ll start to suffer from heat exhaustion and dehydration – like us, flowers like to be kept cool and have lots to drink. 2. 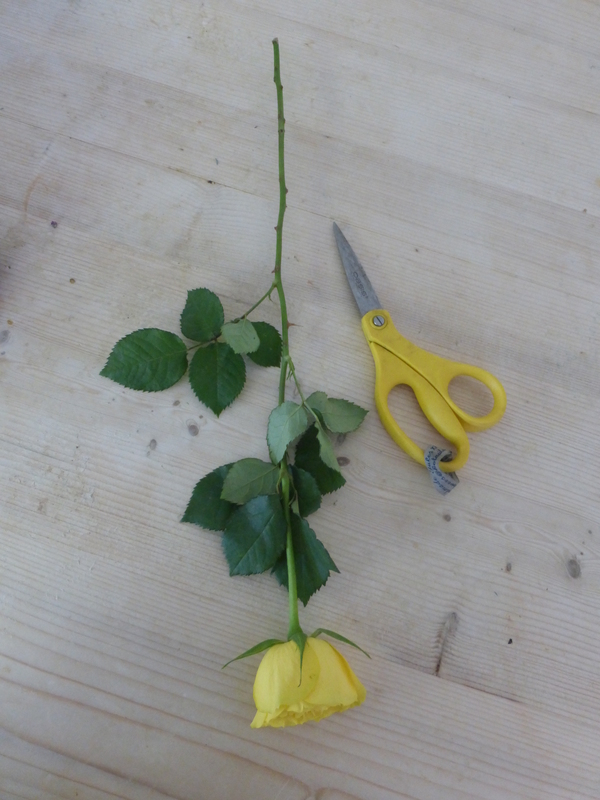 If you’re using bought flowers, first of all you’ll need to release them from their packaging, then individually re-cut the stems of your flowers and foliage. This is done because the ends seal up out of water, which impacts on how effectively they can take up water. 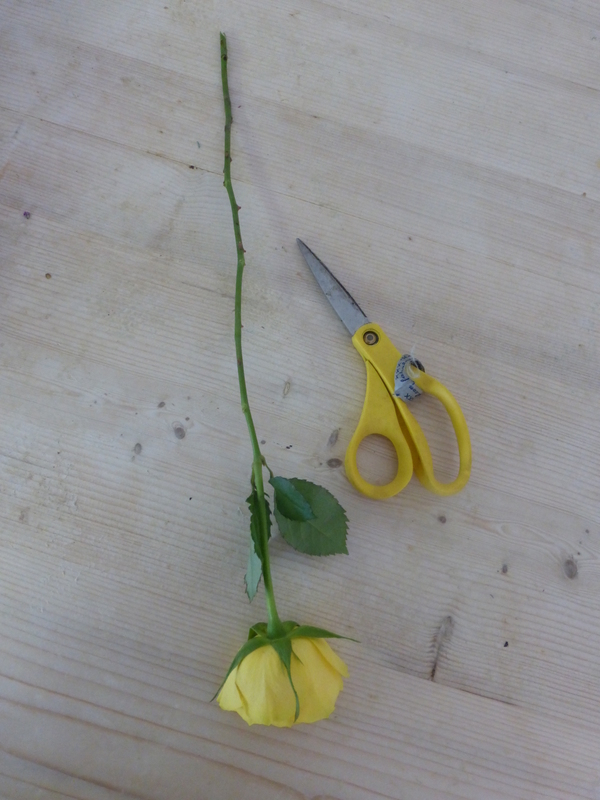 Using a sharp pair of scissors, so as not to squash and damage the stems, cut at a 45 degree angle. Cutting at an angle gives a greater surface area for the water to be absorbed through and ensures that your stems stand on “ballet toes” and not flat to the bottom of the bucket, so that the water can make its way to the exposed cut stem. 3. Strip off any foliage that will fall below the water line in the bucket. 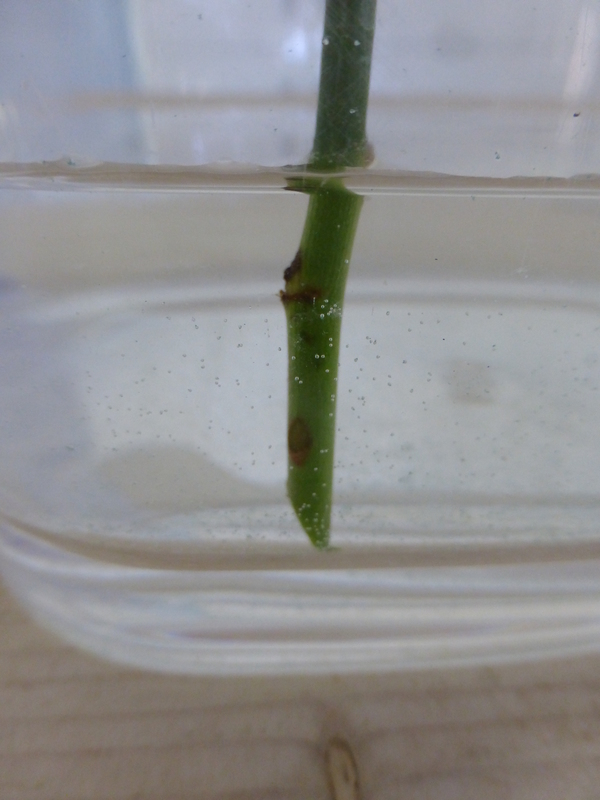 Foliage left in the water will rot, smell and attract bacteria which will shorten the life of your plant materials. Three steps to happiness I’d say. I’m working on a short tutorial for arranging flowers in a vase, so I’ll share some more hints and tips next time.